Zimbabwe continues to rank poorly on Transparency International’s (TI) corruption index, dropping three places from last year to 160 out of 180 countries in the latest edition of the report. For the past three years, the southern African nation has scored a paltry 22 points out of a possible 100, a strong indication that nothing much has changed despite a change in government. The coming in of President Emmerson Mnangagwa in November 2017 was seen as an opportunity for reform in a country which had become synonymous with rot under the despotic rule of former President Robert Mugabe, but corruption amongst public sector officials continues to be palatable. The courts of law, police, tax agency and immigration departments were among institutions perceived to be the most corrupt. 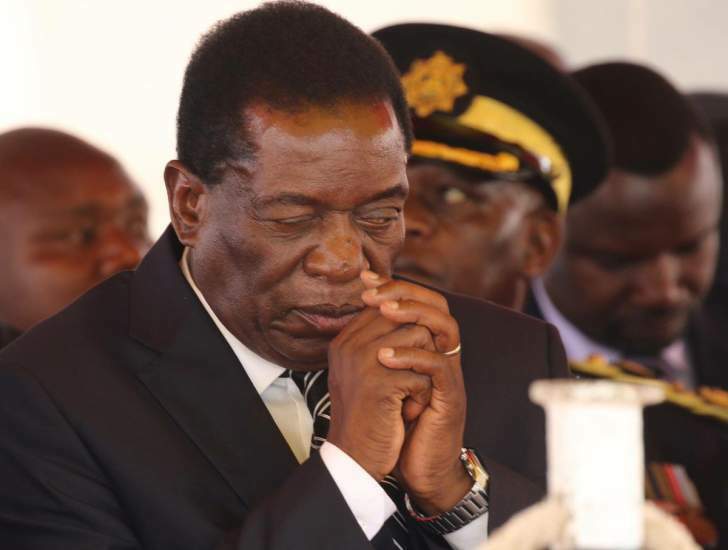 Like his predecessor Mugabe, Mnangagwa has also done a poor job at decisively dealing with corruption cases despite numerous detailed reports by the Auditor-General, which lay bare disregard for due processes on public institutions. TI Zimbabwe executive director Muchaneta Mundopa yesterday said the 2018 Corruption Perceptions Index (CPI) score revealed a structural failure in the country’s anti-corruption agenda, adding that efforts to curb corruption required a multi-stakeholder approach that is guided by a national anti-corruption strategy. “The low CPI score of 22 signals what potential investors perceive of government’s commitment in addressing corruption. It marks Zimbabwe as a high-risk investment country as corruption increases the premium of doing business by 10% to 15% and will likely force other investors to consider investing in countries that have strong institutions that guarantee transparency and accountability. Therefore, for Zimbabwe to be truly “open for business”, the government needs to confront corruption head-on and take sincere measures that are designed to enhance transparency and accountability,” she said. Zimbabwe ranks in the same region with conflict countries such as the DRC (161), Iraq (168), Afghanistan and Sudan (172), South Sudan (178) and Somalia (180). “Corruption is much more likely to flourish where democratic foundations are weak and . . . where undemocratic and populist politicians can use it to their advantage,” TI said in a statement accompanying the results. African countries with better rankings on the index include Seychelles (28), Botswana (33), Rwanda (48), Namibia (52) and Mauritius (56). “This year’s CPI presents a largely gloomy picture for Africa – only eight of 49 countries score more than 43 out of 100 on the index. Despite commitments from African leaders in declaring 2018 as the African year of anti-corruption, this has yet to translate into concrete progress. Countries like Seychelles and Botswana, which score higher on the CPI than other countries in the region, have a few attributes in common. Both have relatively well-functioning democratic and governance systems, which help contribute to their scores,” TI said. Efforts by whistleblowers and the media to expose corruption in high places have often been frustrated as no prosecutions have been made, while trivial and politically-motivated cases ironically receive first preference.